BSA Plant Images Online - Section through xylem region of a vascular bundle drawn from electron micrographs. 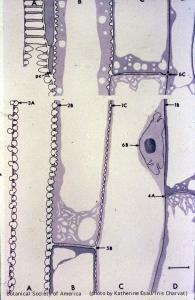 Parenchyma cells present; all other cells are tracheary elements in various developmental stages. Scale line, 10 um. Section through xylem region of a vascular bundle drawn from electron micrographs. 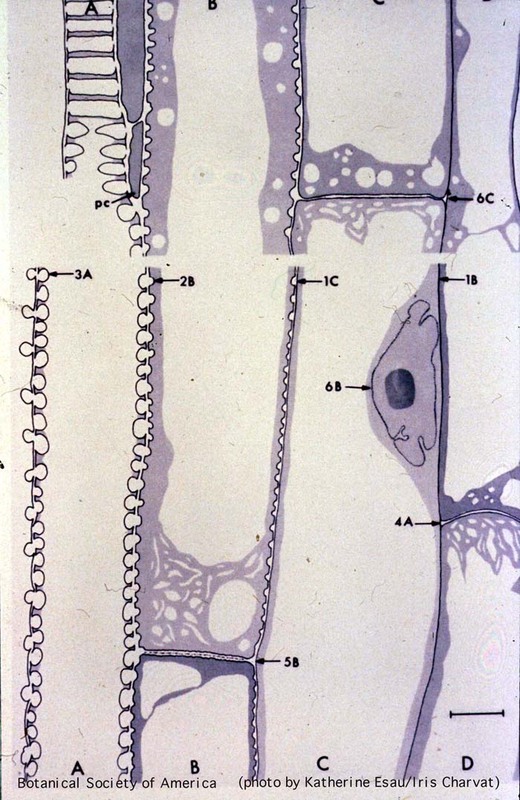 Parenchyma cells present; all other cells are tracheary elements in various developmental stages. Scale line, 10 um.